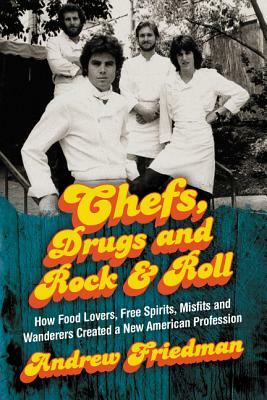 Andrew Friedman has chronicled the life and work of some of our best American chefs. He is the author of Knives at Dawn: America's Quest for Culinary Glory at the Bocuse d'Or, the World's Most Prestigious Cooking Competition and coeditor of the internationally popular anthology Don't Try This at Home. He has also coauthored more than two dozen cookbooks and memoirs with chefs including Alfred Portale, Paul Liebrandt, and Michael White, and collaborated on the New York Times bestselling memoir Breaking Back with tennis starr James Blake. Freidman writes about chefs on his Toqueland blog and interviews them on his Heritage Radio Network podcast Andrew Talks to Chefs. He lives in New York.